Samsung Galaxy Note 2 is the most loved gadget and Android Phone of Year 2013. It is getting lots of attraction from the manufacturer and developer community. Samsung is releasing almost all latest updates for this device and developers are providing loads of custom ROMs. 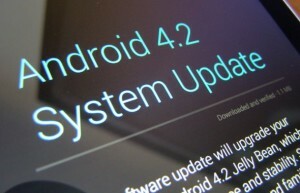 We are here with our new article based on Galaxy Note 2 Android 4.2.2 update. Officially the update is not anywhere near, Samsung is still planning for it and there is no ETA. But developers have released different custom ROM for N7100 and other AT&T And T-Mobile LTE variants of Galaxy Note 2. 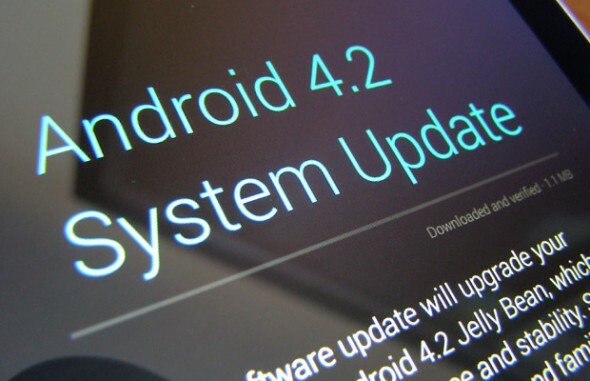 Here, we will tell you which custom ROM to install to get the best Android 4.2.2 Jelly Bean experience on your Note II. Warning: Please carefully follow the article, as any damaged caused to it should not be levied upon us or the developer. Step 1: This article should only used on International Samsung Galaxy Note 2, AT&T Galaxy Note 2, Verizon Galaxy Note or T-Mobile Galaxy Note 2. Step 2: You should charge your device so that there is at least 70% charge with it, this way there will be no Power interruption during the process. Step 5: Enable USB Debugging in your International Samsung Galaxy Note 2, AT&T Galaxy Note 2, Verizon Galaxy Note or T-Mobile Galaxy Note 2 from the path “Settings > Applications > Development > USB debugging”. The option of USB Debugging should be ticked. Download Samsung USB Drivers, ROM package and Google Apps Package from here to your computer. Install Samsung USB drivers so as to have all the necessary drivers for your device on the PC. Place the “Vanilla RootBox Android 4.2.2 Jelly Bean Custom ROM” and “Google Apps Package” file into the root directory of your phone’s SD Card. Step 1: Reboot your phone so as to enter it in Recovery Mode. To do so, when your phone is OFF, press and hold the Volume Up + Volume Down + Power buttons together until the screen turns ON. Step 2: You can create a Nandroid Backup of your existing ROM so that if anything goes wrong then you can revert the same. To create a Nandroid Backup, select “Backup and Restore” from the main recovery menu and then select “Backup” again. Head back to main recovery menu as soon as the backup has been created. Step 3: Now, select “wipe data/factory reset” and “wipe Dalvik cache” to clear the cache data on your phone. Step 4: Next, again from the main recovery menu, select “install zip from sdcard” then select “choose zip from sdcard” and then select the “ROM File” you have downloaded and placed on the SD Card. Step 5: When the flashing process has completed, flash the “Google Apps Package” in the same manner as you have flashed the ROM file. Step 6: As soon as the installation process for “Google Apps Package” has completed, select “+++++Go Back+++++” and then select “reboot system now” to reboot your phone. Great! You have successfully updated your respective Galaxy Note 2 to Android 4.2.2 Jelly Bean via Vanilla RootBox custom ROM firmware. Do let us know if you face any issues, we will try to resolve the same.